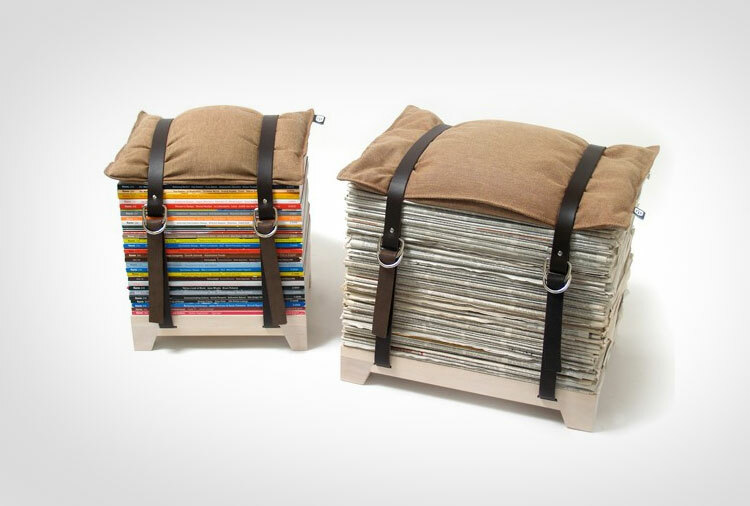 Straight from the home of a hipster comes the Hockenheimer, a stool that is made by stacking your old magazines, strapping them in, and throwing a cushion on top of them to make it more comfortable. 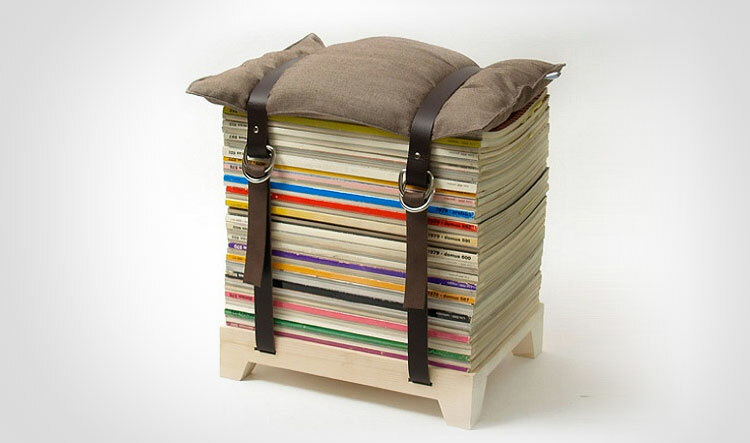 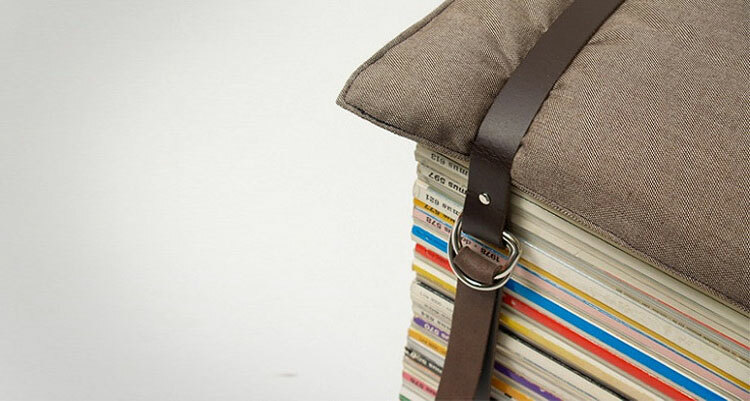 Designed by njustudio, a design company in Germany, the magazine stool is perfect for putting those old nudie magazines to use, just stack them up on the included base, strap them in using the dual belts, and you have yourself a unique stool that which you can choose your own height depending on how many magazines you put on it. 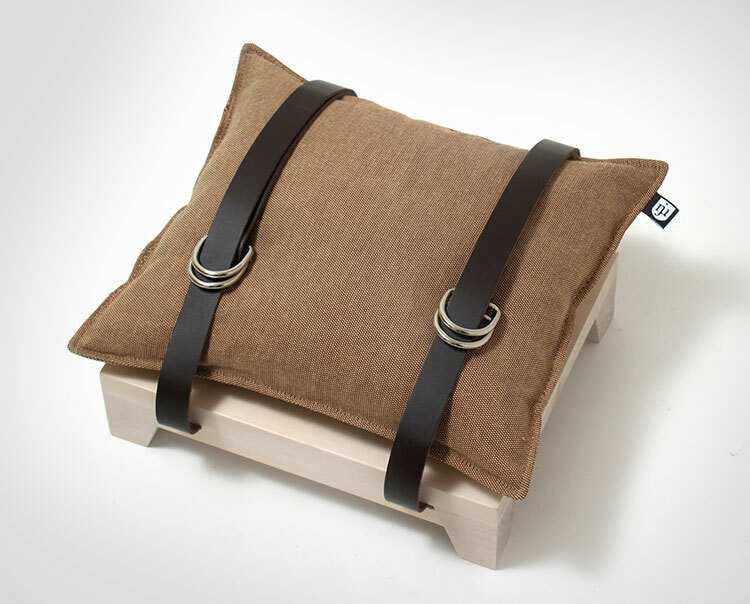 The base of the magazine stool is made from birch wood which is then waxed and brush finished, has two belted straps made from leather, and the pillow is made from high quality upholstery fabric along with pillow stuffing. 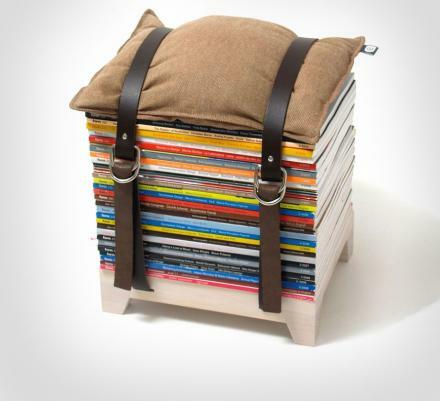 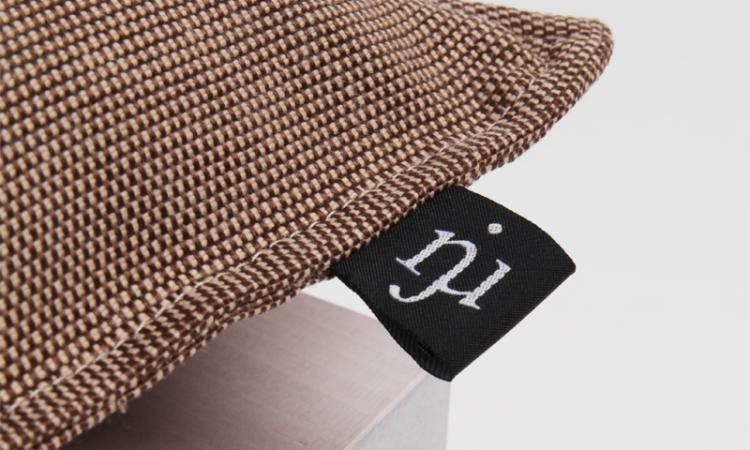 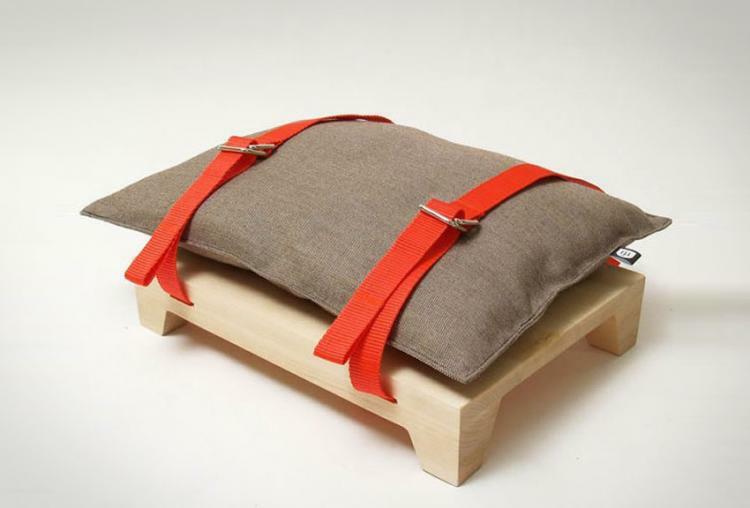 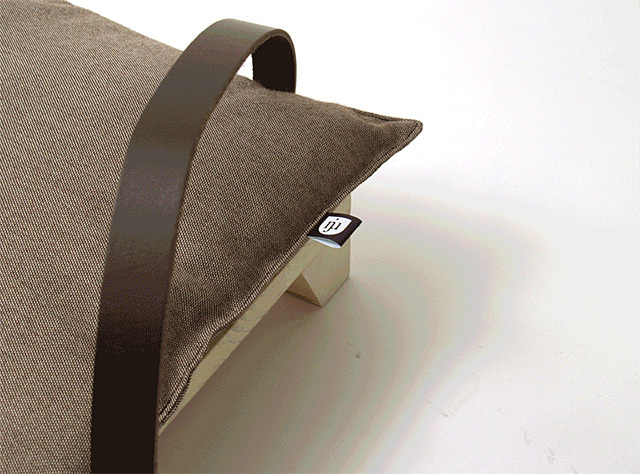 The Hockenheimer magazine stool comes with just the wooden base, leather straps, and the pillow, so you will need to provide your own magazines to make it an actual stool. 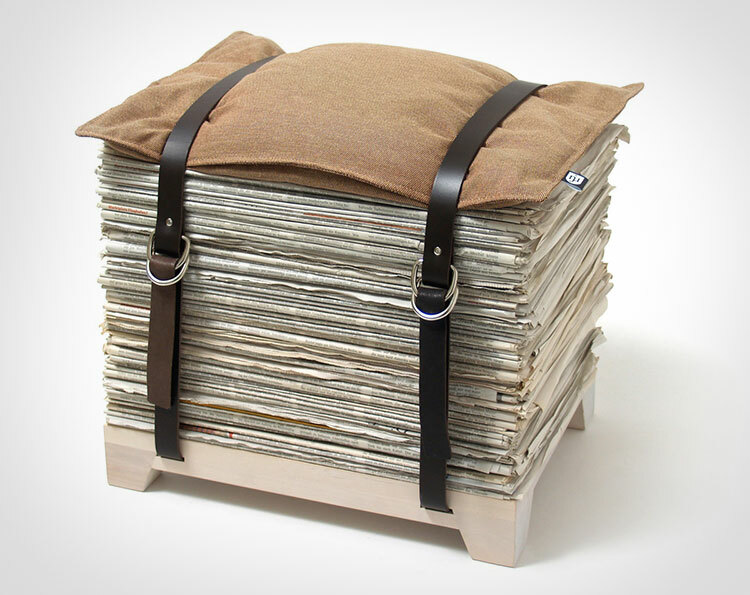 The magazine stool comes in two different models, the Hockenheimer Z that supports newspapers, which measures 16.3 inches wide x 1 foot long x 2.75 inches deep (just the wooden base), and the Hockenheimer M that supports magazines, which measures 1 foot wide x 9.8 inches long x 2.75 inches deep (just the wooden base).